Second sponsorship conflict brews for Ning Zetao, who was almost barred from competing at Rio Olympics over similar issue. Fans and media commentators alike are afraid that Olympic athlete and teenage heartthrob Ning Zetao’s recent sponsorship deal with Adidas indicates that a break with the national swimming team may be imminent. Such lucrative offers — Adidas will reportedly pay Ning more than 10 million yuan (over $1.44 million) — land Chinese athletes in trouble when they conflict with team sponsorship deals. In Ning’s case, the Chinese national swimming team’s official apparel sponsor is one of Adidas’ domestic competitors, sporting goods brand 361 Degrees. Last year, Ning was almost barred from attending the Rio Olympics because he promoted dairy producer Yili Group, a competitor of the national swimming team’s official sponsor, China Mengniu Dairy. State news agency Xinhua wrote at the time that the incident indicated a growing conflict between China’s sports authorities and athletes, who are regarded as national assets and are not allowed to agree to commercial engagements without team approval. According to regulations issued by the Chinese Swimming Association in 2011, athletes must get approval before taking part in any commercial or social activities, and punishment for a violation can include expulsion from the team, depending on the seriousness of the situation. In a similar case, Olympian Nick Symmonds was left off of the U.S. national team for the 2015 track and field world championships due to a dispute over which uniform brand he was allowed to wear outside of competition. The team is sponsored by sports apparel brand Nike, whereas Symmonds at the time endorsed a rival company, Brooks. In the days leading up to the announcement of the sponsorship deal, two of Ning’s Weibo posts sparked speculation among followers that his relationship with the national team had once again entered troubled waters. 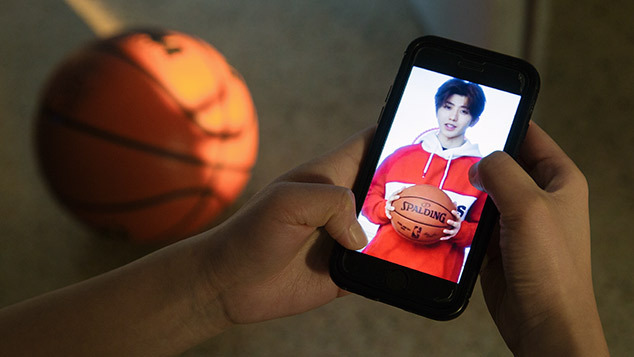 On Jan. 1, Ning posted a photo of himself wearing an Adidas shirt and holding up three fingers as if to imitate the company’s three-stripe trademark. “2017, create a moment that belongs to ourselves,” read the caption. Two days later, he followed with a picture of himself exercising — again wearing Adidas apparel and making the same hand gesture — saying: “Everyone has the right to choose their own life.” He finished his post with an ancient Chinese poem proclaiming that a man with strong determination never gives up his dreams and convictions. The emerging friction has also renewed interest in a documentary about Ning’s preparation for the 2016 Olympics, which originally aired in November 2016 on state broadcaster CCTV’s sports channel. The film touched on the conflict surrounding Ning’s endorsement of dairy brand Yili: Ning said that a month before the Olympics, he was ordered to move out of his apartment in Beijing, his meal card at the training facility was blocked, and his coach was suddenly nowhere to be found. A commentary published Thursday in Party-affiliated China Youth Daily discussed both the Adidas deal and the documentary. “The relationship between Ning and the national swimming team might really break up,” the article said. The National Swimming Administrative Center could not immediately be reached for comment on Tuesday. A spokesman from the General Administration of Sport, which oversees the center, said he was not able to comment on the case. “The center has its own rules to manage athletes for commercial engagements,” he told Sixth Tone by telephone. 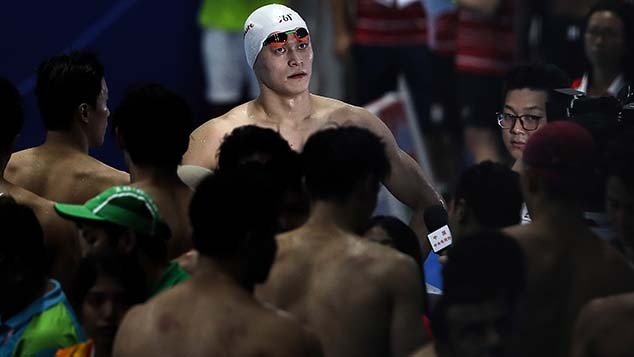 In 2013, Olympic swimming champion Sun Yang was punished by the national team and suspended from all commercial activities after his coach complained that he did not spend enough time training. He had also been caught driving a car without a license. In 2005, Olympic diving champion Tian Liang was expelled from the national team for engaging in commercial activities without prior approval from the sports authorities. Ning himself has experienced significant ups and downs in his career. He was suspended in 2011 for one year after he tested positive for doping. In 2013, he returned to the pool and triumphed, winning a gold medal in the 100-meter freestyle at the Chinese National Championships. At the world championships in 2015, Ning became the first Asian winner in the same event.